In a number of industries such as signage, jewelry showcases and other types of displays, it is important to use the optimal fluorescent lighting in products. The goal for many OEMs is to find fluorescent lamps that can “reproduce” a color in relation to a natural or ideal light source. As part of the LightSources group, LCD Lighting is one of the leading manufacturers of standard and custom-designed specialty fluorescent lamps that are used in virtually any type of OEM lighting applications. The Color Rendering Index (CRI) is used to determine the color of fluorescent lamps. It measures how well it renders colors and the quality of light produced by the light source. Based on a numerical scale of 0 to 100 percent, the higher the CRI such as an 80 – 95 percent is considered good to excellent, and at the top of the scale, the CRI of 100 percent is natural daylight provided by the sun. The phosphor used to manufacture the lamps determines the color temperature. The most common industry lamp phosphors produce the following color temperatures: Warm White – 2800° K to 3200° K; Cool White – 4000° K to 4500° K; and Day Light – 6200° K to 6800° K.
At LCD Lighting, our proprietary color rendering index (CRI) produces more rare earth tri-phosphors to give our fluorescent lamps the truest color with a natural look. This provides the opportunity for OEMs and other end-users to get custom colors and images for unique products and application requirements. With our extensive inventory of fluorescent lights, clients have a choice of more than 100 various shades of white or phosphor blends. Furthermore, if we do not already manufacture what you need, we will develop a new blend just for your application. Please see our website for further information regarding our fluorescent and other specialty lamp products. LightSources, together with our affiliated companies, represent the foremost high-tech designers and manufacturers in the lamp industry today. LCD Lighting, our leading affiliate in fluorescent lamps has designed and manufactured thousands of custom fluorescent lamps for nearly every type of OEM lighting application. Discover top-of-the-line service and exceptional products from one of the leading florescent lamp manufacturers. If you are small or large OEM, establishing a business alliance with LightSources, LightTech and our affiliates, LCD Lighting, Voltarc and Cerlux offers numerous benefits. Together the LightSources group represents one of the leading designers and manufacturers of quality standard lamps and components as well as proprietary customized solutions to meet virtually any need. By forming long-term partnerships, we can help our clients to get a competitive edge in their prospective markets. Our vast global operations give us the capacity and resources to offer OEMs a flexibly supply to ensure that production and project deadlines are met. We have manufacturing, sales, and distribution locations in North America and Europe as well as a sales office in China. Manufacturing facilities include LightTech’s advanced fluorescent glass factory in Dunakeszi, Hungary, which has the capacity to manufacture T4, T5, T6, T8, T10 & T12 fluorescent and germicidal soft glass. This allows us to get products into the hands of clients quickly and efficiently. Our extensive operations also means we are able to offer large OEMs what we call the “Just in Time Inventory”, which is our way of expediting a fast, economical supply of products to clients. To best serve international customers, we maintain KanBan systems so we can offer clients automatic levels of inventory control. Another benefit of partnering with LightSources and LightTech is our range of economical shipping options whether it is by road, rail, sea or air. In fact, we now serve OEMs in over 60 countries and in 6 continents. Regardless of where you are located, we can handle your entire transaction from prototype and design, to manufacturing and transportation. We also have the experience to adeptly deal with customs’ documentation as related to the importing and exporting of goods. LightSources and our affiliated companies represent the leading high-tech designers and manufacturers in the lamp industry today. Our products are used world-wide in a multitude of applications and industries such as our avionic display backlighting that is part of the National Defense and US Space Program. The LightSources team consists of the most highly skilled professionals that specialize in a range of innovative solutions. Voltarc brings to the LightSources group innovative engineering that combines long-standing lamp design and state-of-the-art manufacturing experience with future-oriented technology. As the leading expert in signage and architectural lighting, we employ some of the top engineers in the field and offer customers the benefits of cost-effective solutions for unique environments and applications. We have established a reputation for offering the marketplace unrivaled fluorescent sign lamps, neon tubing, long lamps, and U-lamps. In addition we have developed an exclusive cup-cathode construction that provides unsurpassed electrical life to our TriLight Max Series of fluorescent lamps. Voltarc’s extensive sign lamp portfolio includes: TriLight™ and TriLight Max™ Fluorescent Lamps, TufBend U-Lamps, TufStraight Lamps, Xtra Long Lamps, Neon Tubing, Masonlite Electrodes, Hyde Neon Fabrication Equipment, Kulka Lampholders and Wiring Devices along with a wide range of accessories. Customers will discover the broadest range of custom and standard neon sign tubing colors with even coating and the most whites found anywhere in the sign industry. Our TriLight™ fluorescent sign lamps offer exceptional color rendering for maximum lumen output and maintenance performance for all lamp applications. The T8 is rated for 18,000 hours and the T12 for 12,000 hours. They are compatible with currently available electronic warm start sign ballasts. Voltarc’s TriLight Max™ T8 and T12 series of fluorescent lamps use our Long LifeTM Cup-Cathode Technology and are extremely efficient. The T8 TriLight Max fluorescent lamps offer 60,000 hours of rated useful life and the T12 offers 50,000 hours of rated useful life. Voltarc can help with basic sign lighting designs as well as applications that require more customized designs, development and control provisions. With over a hundred distributors throughout North America and Canada, you will find our products are readily available. To learn more about Voltarc’s high-quality products, please see our website for further details and contact information as well as information about the rest of the LightSources group. LightSources and our affiliated companies, LCD Lighting, Voltarc along with strategic partners LightTech, and Cerlux represent the leading high-tech designers and manufacturers in the lamp industry today. Our products are used world-wide in a multitude of applications and industries such as our avionic display backlighting that is part of the National Defense and US Space Program. Please contact us to learn more. The LightSources group is committed to making the world a better place and we operate our companies with that goal in mind. We pro-actively develop and implement sustainable business practices and greener technologies as well as dedicate resources and time to raising money and awareness for social causes. Our technological advancements have allowed us to create some of the longest lasting lamps on the market such as UV germicidal lamps, tanning lamps and TriLight Max lighting lamps. These long-lasting lamps reduce the number of replacement lamps required as well as reduce the number of old lamps to recycle. Additionally our products are extremely efficient, which mean less energy usage, less maintenance and less replacement costs. 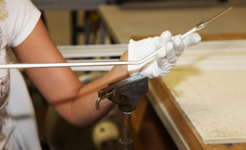 At our glass factory in Hungary, we meet the environmental control requirements of EN ISO 14001:1996. Also by operating our own recycling equipment, we are compliant with RoHS and the WEEE (Waste of Electrical and Electronic Equipment) Directive. Recycled materials include: lamps (except incandescent and halogen light bulbs), luminaries (except household) and equipment for controlling and/or spreading light. Any materials we cannot recycle are sent to Electro Coord where they are recycled. Furthermore, all of our employees are trained in environmental issues and best practice in regards to the industry. As to our social programs, the LightSources group participates in several local and national charities. In North America, we support the St. Jude Children’s Research Hospital, Susan G. Koman for the Cure, and the American Cancer Society. In Europe, we support the international social development organization, SOS Kinderdorf Support (SOS Children’s Villages International). LightSources and our affiliated companies represent the leading high-tech designers and manufacturers in the lamp industry today. Our products are used world-wide in a multitude of applications and industries such as our UV germicidal lamps that offer patent-protected, OEM-oriented solutions. The LightSources team consists of the most highly skilled professionals that specialize in a range of innovative solutions. The LightSources group is comprised of LightSources, our European partner LightTech and affiliated companies, LCD Lighting, Voltarc, LightTech and Cerlux. Together we represent the leading high-tech designers and manufacturers in the specialty lamp industry with our products used in a multitude of applications and industries across the globe. Light Sources, Inc. was founded in 1983 in Orange, Connecticut where our headquarters are still located. Our vast portfolio includes UVC germicidal lamps, amalgam lamps, specialty UV lamps, low pressure fluorescent and high pressure facial tanning lamps, twist, dual and triple-phosphor tanning lamps, medical lamps, collagen fluorescent lamps, and eco-friendly UV lighting solutions such as low mercury lamps. We lead the global industry with state-of-the-art technologies for low pressure tanning lamps and UVC quartz germicidal lamps. Our strategic partner LightTech has much of the same portfolio with the addition of operating one of the most advanced glassworks in Europe. Located in Dunakeszi, Hungary, the large facility is capable of manufacturing T4, T5, T6, T8, T10 & T12 fluorescent and germicidal soft glass. LCD Lighting (LCDL) is the industry’s LCD backlight technology specialists. This gives us the capability to provide a number of OEM industries with fluorescent lighting technology for state-of-the-art liquid crystal displays (LCDs) and active matrix liquid crystal displays (AMLCDs). Also LCDL is the only manufacturer of the AMLCD lamps used in the cockpits of Boeing’s 777, 767 and 737 passenger jets. 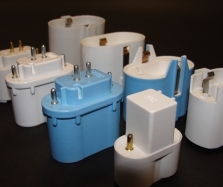 Our affiliate Cerlux is one of the top manufacturers of custom ceramic components and designs, and can fabricate proprietary end fittings and matching sockets for virtually any lamp application. This allows us to provide clients with not only fully customized lamps, but to offer proprietary and patented base solutions. Finally our affiliate Voltarc rounds out the LightSources group’s expertise by providing the best neon tubing and specialty sign lamps in the signage industry. Products include neon, specialty and fluorescent sign lighting components, Masonlite electrodes and Kulka lampholders and electrical wiring devices. LightSources and our affiliated companies, Voltarc and LCD Lighting along with strategic partners, LightTech and Cerlux, offer outstanding service and exceptional products. Our standard lamps and components as well as customized products offer high-quality solutions to meet our partner’s unique needs. Please contact us for more information. As nearly every source of drinking water in the U.S. contains some level of contamination due to toxic bacteria, chemicals and heavy metals, the public needs effective ways to purify water. A method that is becoming increasingly more popular with municipalities is UV treatment systems. 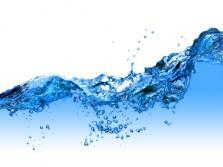 They are one of the safest and most economical means of purifying drinking water and adhere to government regulations. Unlike water chlorination disinfection, the UV approach does not require specialized operators to run the plant or a constant supply of potentially hazardous material. Other advantages to UV technology are it does not leave any byproducts or change the color, taste, odor or pH of the water. It has also proven to be more effective than chlorine treatment against parasites such as giarrdia and cryptosporidium. These bacteria can cause severe diarrhea and even death especially in the elderly and very young children. As a leading designer and manufacturer of proprietary UV germicidal bulbs, LightSources, along with our strategic partner, LightTech, offer safe, simple, and cost-effective solutions for a multitude of industries that require water, air and surface sterilization. Our low pressure standard quartz germicidal lamps and low pressure high output germicidal lamps are used throughout the world to disinfect, sanitize and oxidize drinking water, as well as to reduce TOCs and chloride/chloramines. LightSources UV lamps can generate UV radiation at 185nm and 254 nm. This combination is designed for the photooxidation of organic compounds. Radiation at 185nm produces ozone, which is active oxygen, and is one of the most effective natural bactericides killing almost every form of virus. Radiation at 254nm is a highly effective sanitizer, and at this wavelength, UVC is absorbed by the organism’s DNA, which eliminates its ability to reproduce. We encourage you to visit our website as it contains much more information about our UV products as well as all of our other specialty lamps.